Rutland Boughton and the Glastonbury Festivals in 1993 (see below). This is a period piece - of the Glastonbury Festival and the music of the man who ruled it.
" The world was at his feet, " wrote one of his friends, " yet he turned away. " 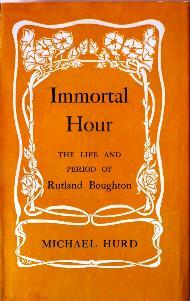 Rutland Boughton was a strange mixture - idealist and dreamer, practical man of the theatre, and atheist who championed the communism of Christianity, a puritan who loved life, an artist who loathed the London social round and delighted it with his opera The Immortal Hour. This is the fascinating story of a man who staked everything to create a national opera, who fought against the prejudices of his time and who knew the heights of success and the bitter depths of failure and who, in spite of everything, retained to the last his essential nobility and integrity. 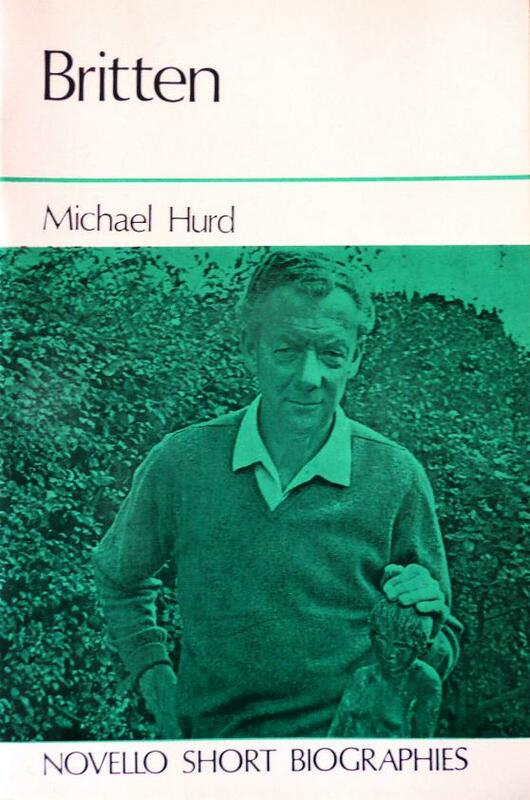 With the help of letters from Bernard Shaw, Elgar, Vaughan Williams and many other prominent artists, and backed by an intimate personal knowledge of the composer, Michael Hurd traces the turbulent career of one of England's most remarkable composers and his relationship to an extraordinary age. "Mr Hurd outshines most biographers, for he holds the reader at all stages during his unvarnished tale of an artist who did not achieve the first rank ... after reading the book straight through, one recognises that such admirable biography is the most impressive administration of history without tears." 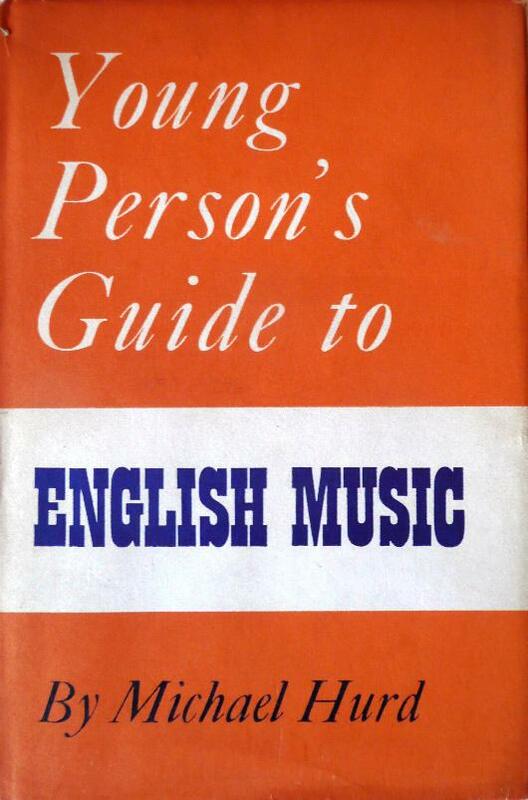 " Sets out to answer some of the many questions that may occur to the person, young or old, who is beginning to take a serious interest in concert-going. 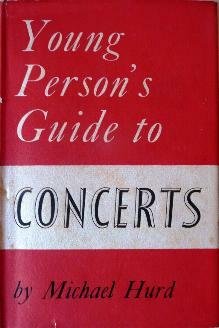 It is written in a way that may appeal to concert-goers of any age and is free from technical jargon.
" The handful of musical illustrations, all well-known tunes, can be picked out with one finger on the piano. 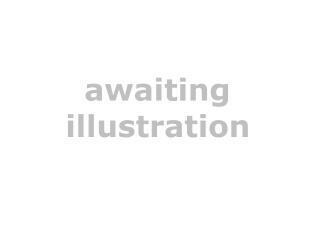 It is not, however, a book which avoids problems or ducks behind conventional attitudes. Altogether it should prove invaluable to those happy people who are just beginning to discover the delights of music." "Mr Hurd provides the apprentice concert-goer with a very pithy background to the concert world, which will engage his intelligence quite considerably. 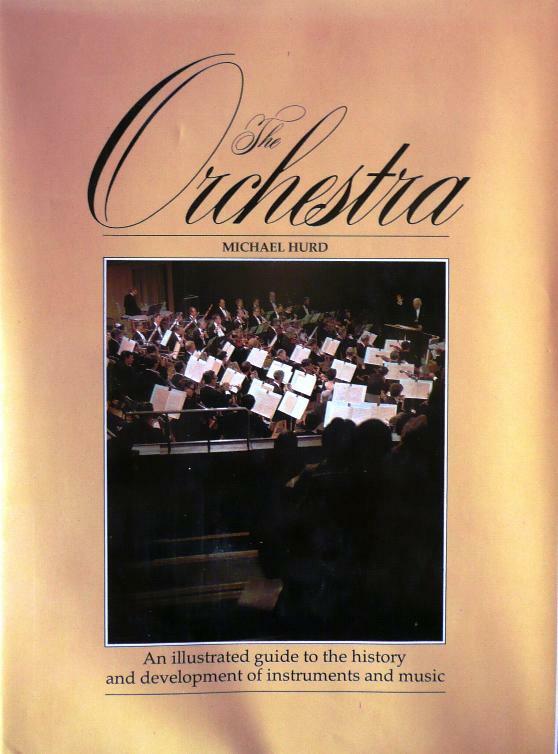 Inevitably orchestral instruments are discussed, but the author ranges over unexpected topics like the daily routine life of an orchestral player, the hazards besetting the critic, and that new toy, the language of music." 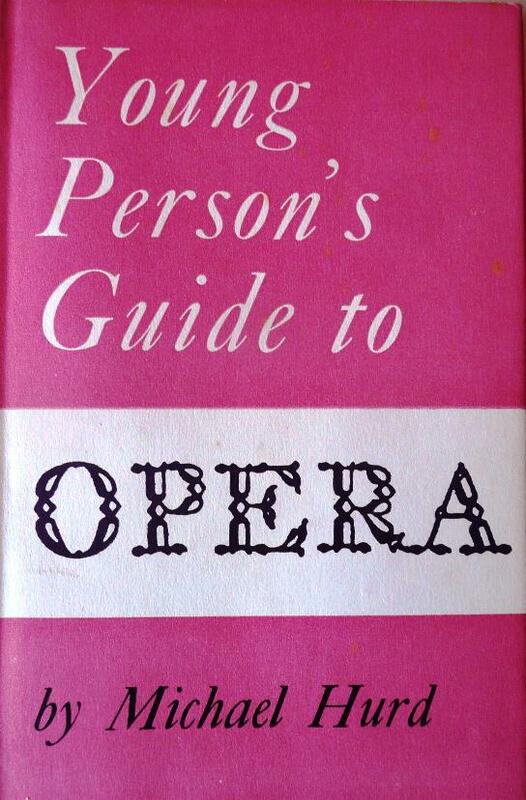 "This little book is an admirable guide to opera, its nature in Part I and its history in Part II, not only for a young person but for his elders and even connoisseurs. Considerable insight has been employed in setting forth a complex and often misunderstood subject with clarity and concision." "For David [Hughes] and Mai [Zetterling]"
"An entertaining and informal discussion of the use and types of sea shanties with tunes and words from fifteen songs." 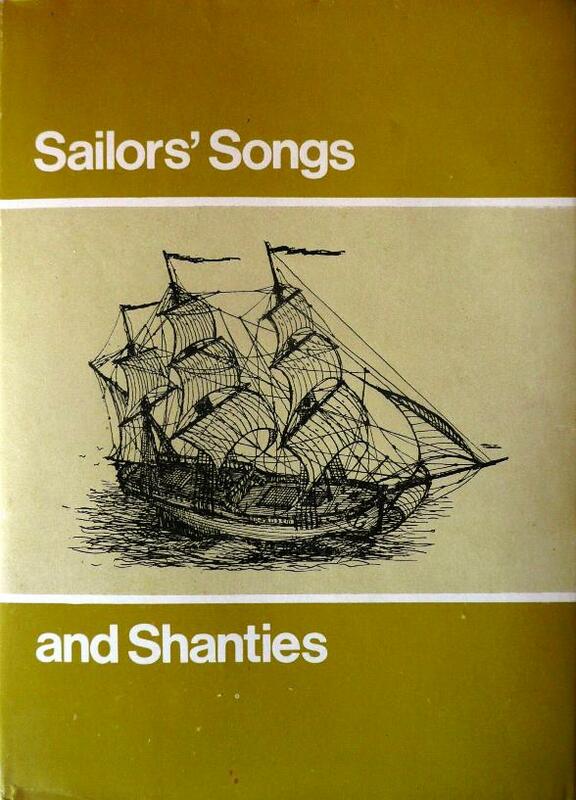 "A brief, informal account of the folk songs of the sea discusses the origin of sea shanties and gives the words and music for different types of shanties and other songs popular with sailing men. This book will be especially useful in school libraries as it includes interesting bits of information about old sailing ships and life at sea as well as serviceable material for music classes." " Thank you for sending me your little book. It strikes me that in its modest way it is accurate and sympathetic (two rather rare qualities !) and I send you my warm thanks for having paid me the compliment of writing it. " Benjamin Britten to the author, 4 May 1966. In writing this book I have tried to take a panoramic view of musical history, such as may provide the serious student and music-lover with a sound framework upon which to base further, more detailed researches. It is not, and was never intended to be, an all-embracing account that will answer every question. Indeed, I very much doubt if any single volume by any one man should ever aspire to that end. 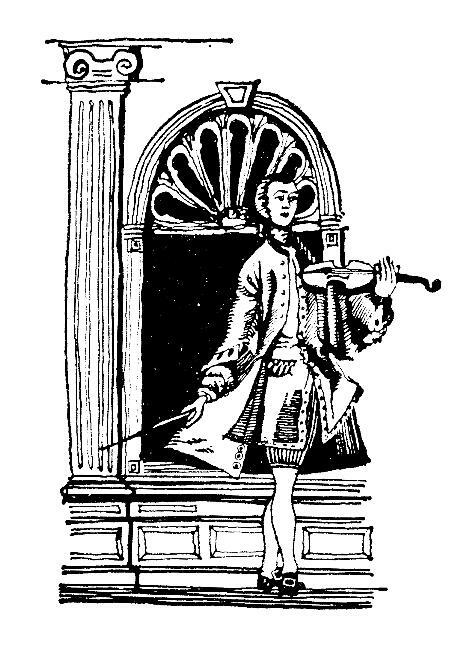 What was society like in each period, and what did it expect of its musicians ? What were the main ingredients of music in each period, and what forms did that music take? Which were the most influential countries, and who were the most important composers? If answers to these questions have been provided, and set down in a readable fashion, then I shall consider my purpose to have been fulfilled. It follows, however, that the examination student, and the curious music-lover, will need to know more than this book sets out to provide. And to this end I have included suggestions for further reading, a possible course of listening, and a series of 'projects' designed to prompt more detailed lines of investigation. These are placed at the end of the book, so as not to break the flow of the narrative.
" 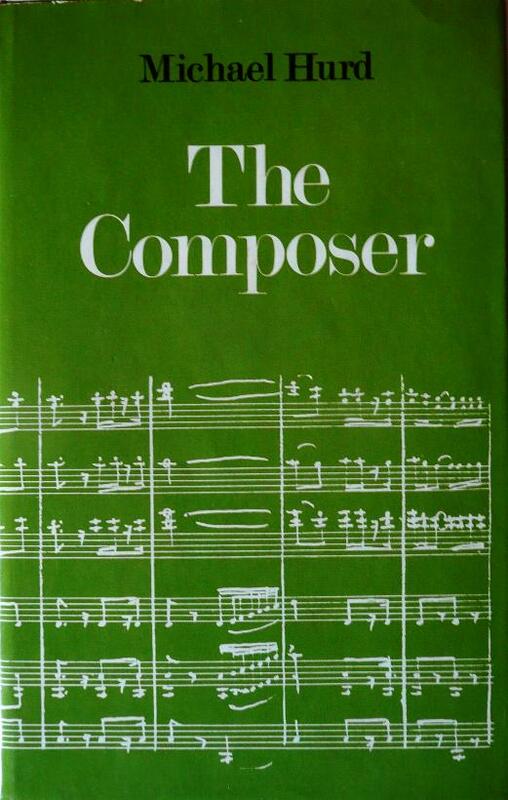 An introductory book which gives a vivid account of the composer's life - what sort of person he is, how he sets about his work, and how (if he is lucky) it is printed, published and performed. A portrait of the most important person in music, whose character and special needs are too often taken for granted. " By their nature, the sections on sources of income, publishing and printing have been long overtaken by the march of progress. Nonetheless, this volume still has a value in terms of its insight - from the inside, as it were. Selected phrases and thoughts may be found here. Library of Congress Cat No ? 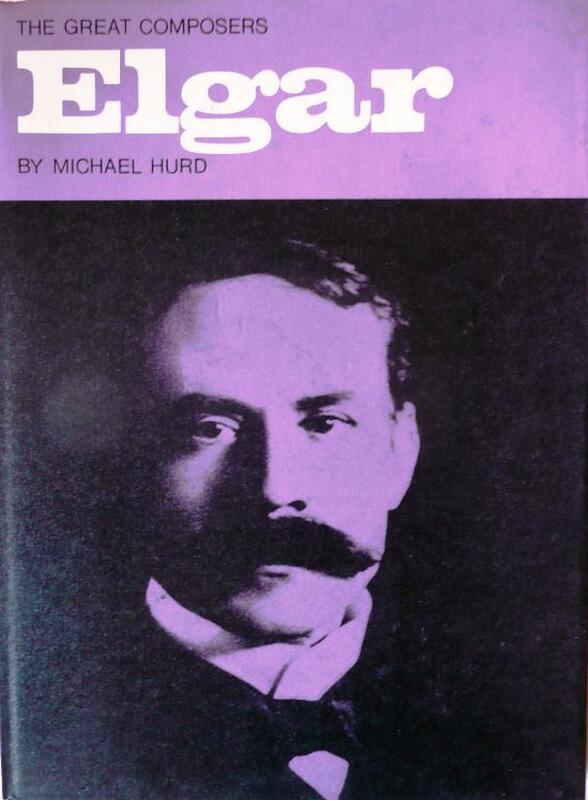 "This new book is a sympathetically perceptive study of both man and musician, a study that contrives to place Elgar's slowly maturing yet entirely original genius in the larger context of English musical history ..."
"...shows the man, not the establishment monument that Elgar became and the elements in the music which give it worth far beyond the 'Pomp and Circumstance' qualities for which it is most commonly known." 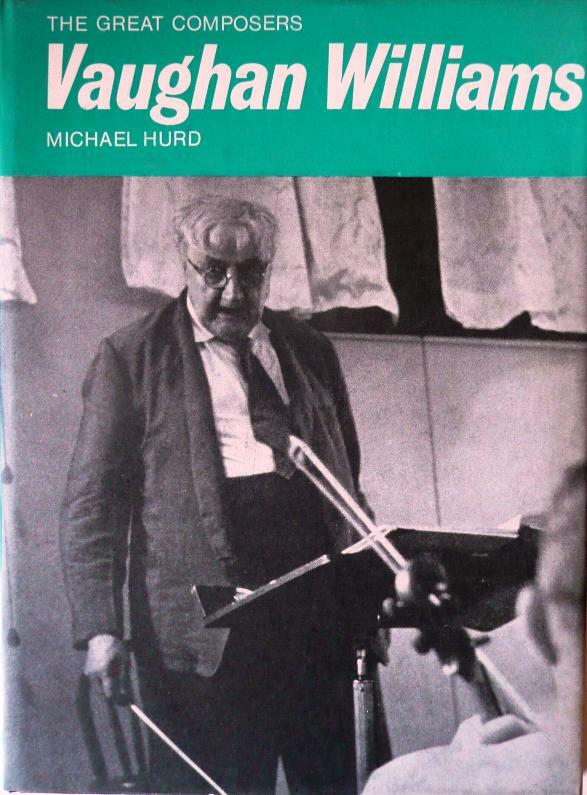 "In this attractively written introduction to his life Michael Hurd describes Vaughan Williams' growth from the early days of 'Linden Lea' and the hymn tune 'Down Ampney' to the world figure of the prophetic 4th and 6th symphonies. 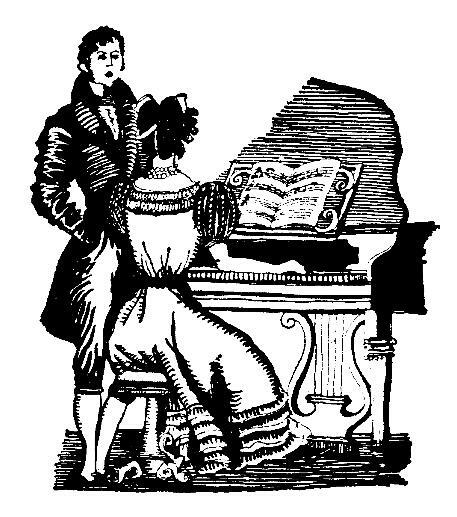 The many music examples are set out in such a way that they can be enjoyed by pianists of modest ability. This book should stimulate fresh interest in an original and independent composer who, along with his great friend Gustav Holst, succeeded in giving English music a new direction and impetus." 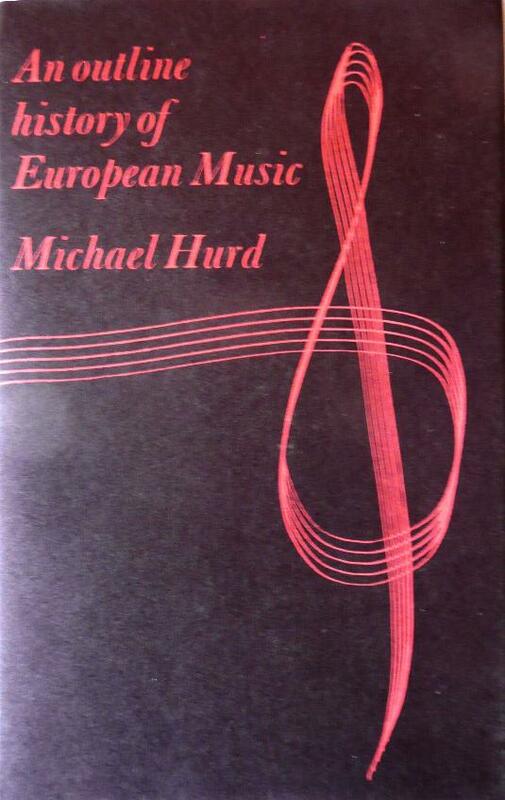 "Hurd's enthusiasm for the composer gives the writing a genuine warmth and liveliness. He places the composer's achievement in perspective by giving a vivid and comprehensive view of English music at the turn of the century and of the unpropitious musical climate Vaughan Williams had to contend with." 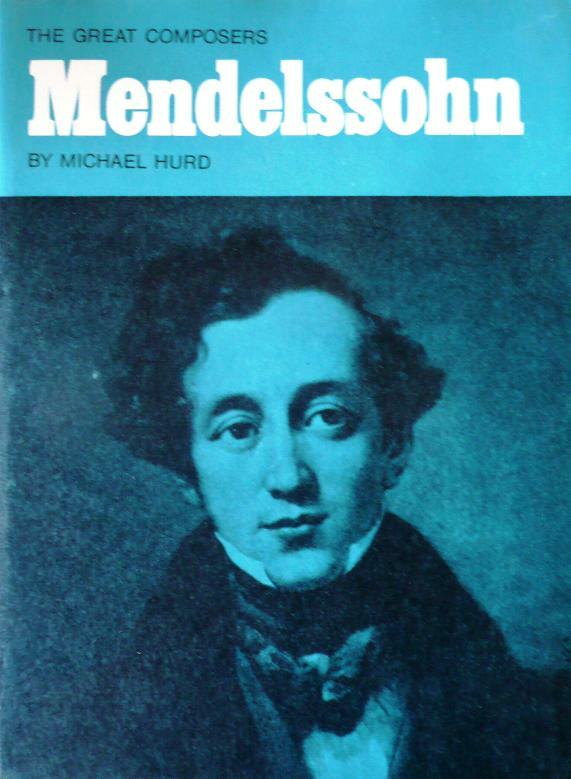 "In this perceptive introduction to the composer's life and works, it is the imaginative and lively aspects of Mendelssohn's genius which emerge, although Michael Hurd is by no means blind to the occasional sentimentality, a fault which Mendelssohn shared with the age. The many music examples, the drawings and plates, recreate the life of a remarkable composer." "Told in an attractive and readable fashion, helped at regular points by apt illustration. 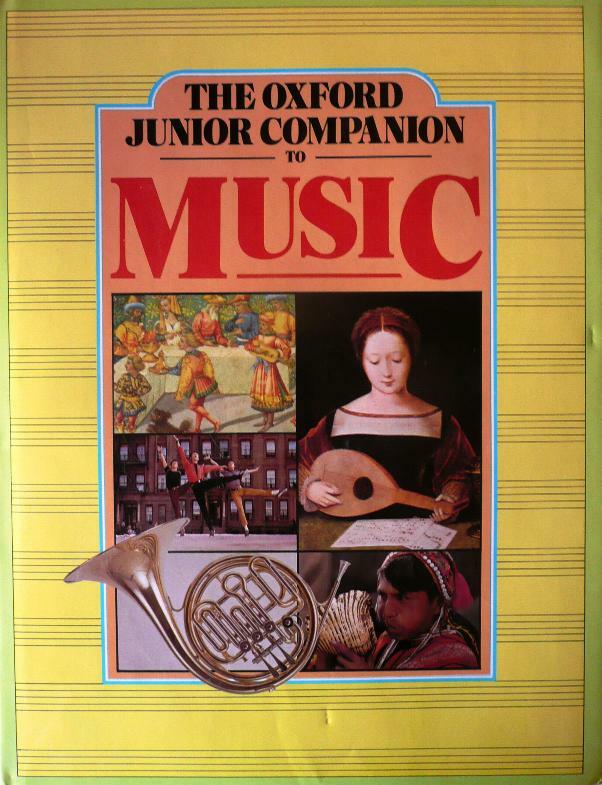 Mr Hurd's assessment of the music will satisfy the authorities and give an excellent ideas to the junior musician of the equivocal reputation of the romantic composer who was so classical in his outlook." Maurice J E Brown, The Musical Times. 30 rounds and catches for equal voices from 18th- and 19th-century England. The strength of this series (see below) lies in the balanced mixture of scholarship, musical archaeology and practicality. Each of the volumes carries, in addition to a varied and pleasurable selection of music to be shared, introductory notes, explanations and biographical information. 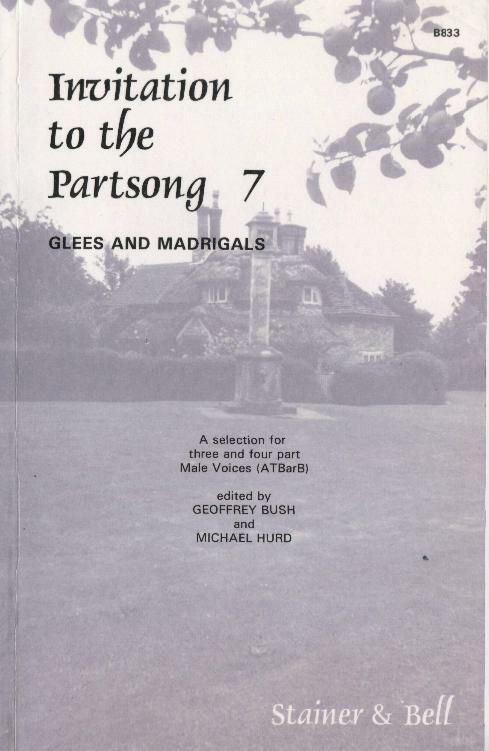 Basing their work wherever possible on the earliest printed sources, the editors have provided both a valuable reference for students of the genre and a resource for choral of all abilities and experience. 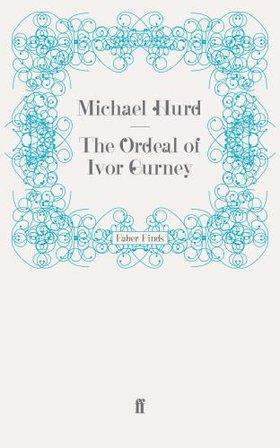 "Anyone who admires Gurney either as a poet or as a composer has good reason to be grateful to Hurd for what must have been a long and difficult task. 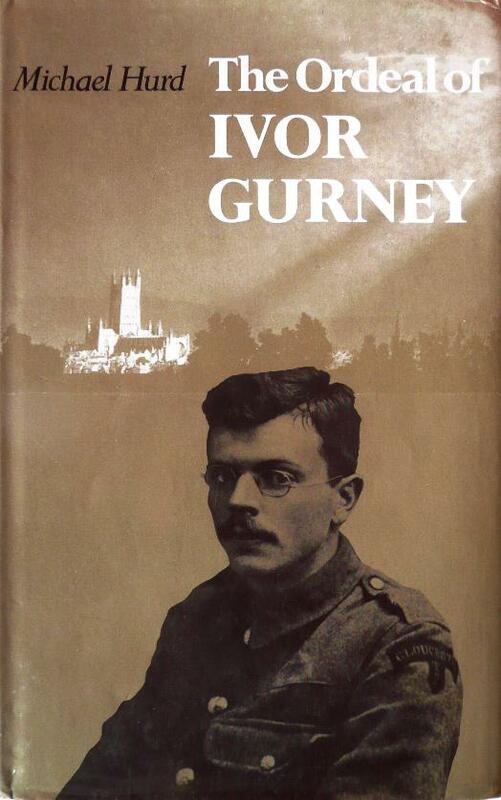 And those who don't yet admire Gurney - and they must be far more numerous - could have even more reason for gratitude, for this book may direct them to his works." "I have tried to approach the writing of this new edition in something of the spirit that informed Percy Scholes' original, and have sought to present objective, useful information in a way that is personable, readable and entertaining. Probably here and there, as in his writings, the wry touch of mild prejudice and the excitement of special enthusiasms have crept in to colour the factual recital. If so, I cannot truly say that I am sorry." Given Hurd's enthusiasm for the life and times of Admiral Nelson it is no surprise to note that one of the songs added is The Night of Trafalgar, to words by Hardy. "A comprehensive, richly illustrated guide to the modern symphony orchestra - its history, music and performance." 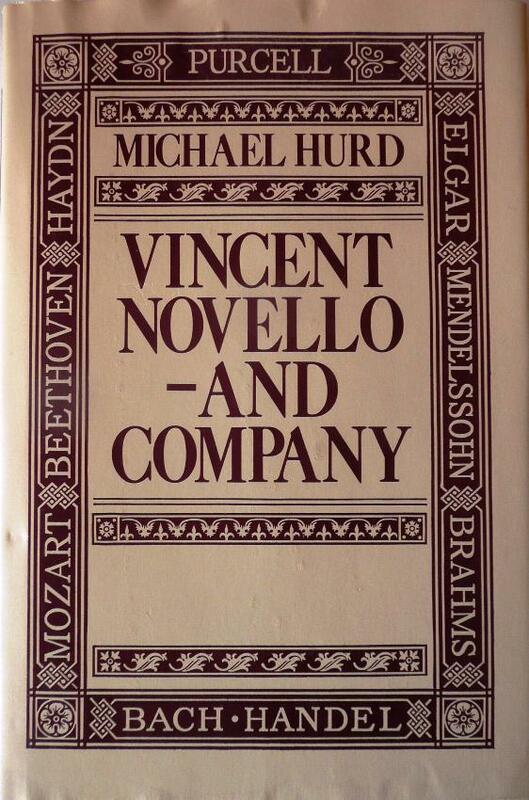 "Michael Hurd's lively account of the firm and the personalities involved in it - including the great Henry Littleton - coincides with the 200th anniversary of the birth of its founder, the energetic and loveable Vincent Novello (1781-1861)." 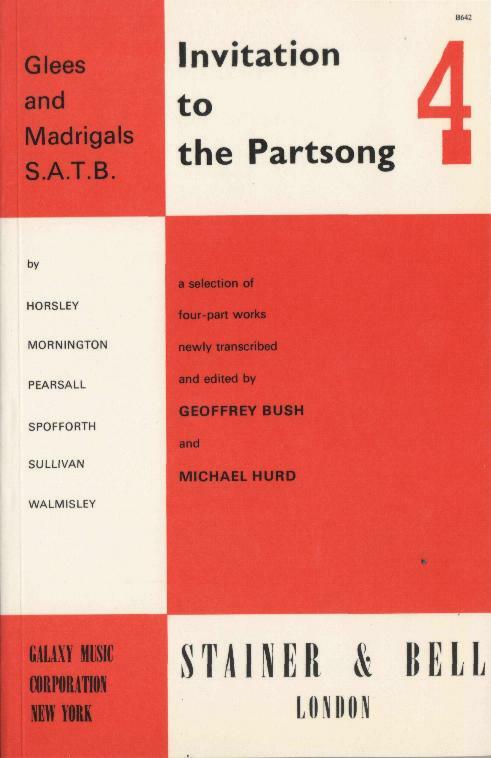 "A forum for choral singers" edited by MH. Contains articles on the Huddersfield Choral Society and Novello's Handel series, presumably by the editor. To date [Dec 2011] it is not known whether there was a No 2 of this publication. part of "Andre Previn's Guide to Music". 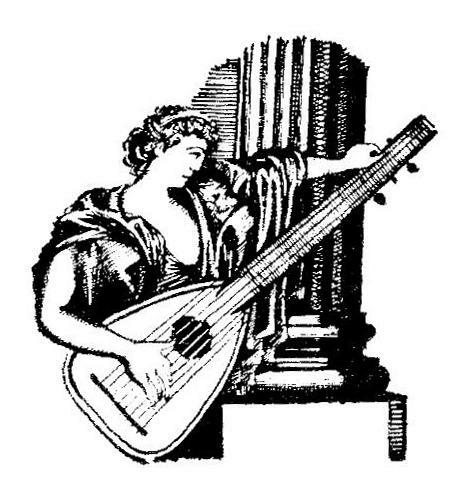 13 of the finest settings taken from John Dowland: Ayres for Four Voices, originally transcribed as Volume 6 of Musica Britannica by Edmund Fellowes. 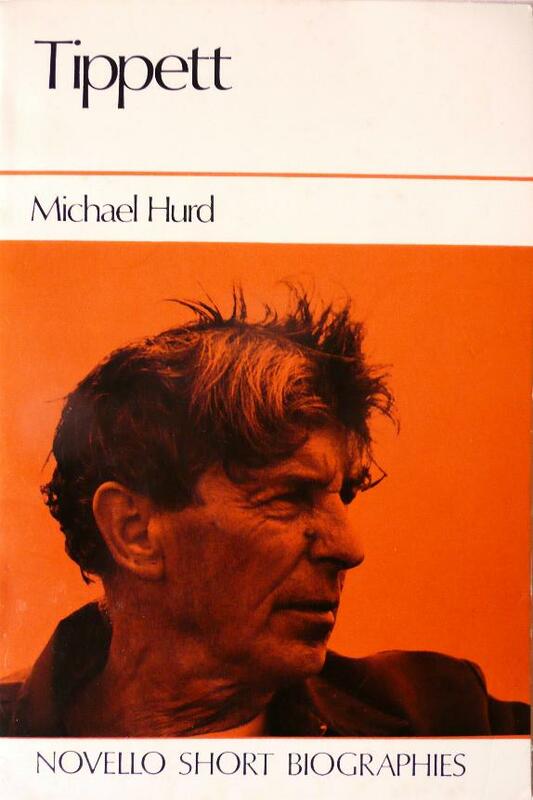 "Michael Hurd has radically revised and significantly expanded his 1962 biography of Boughton. 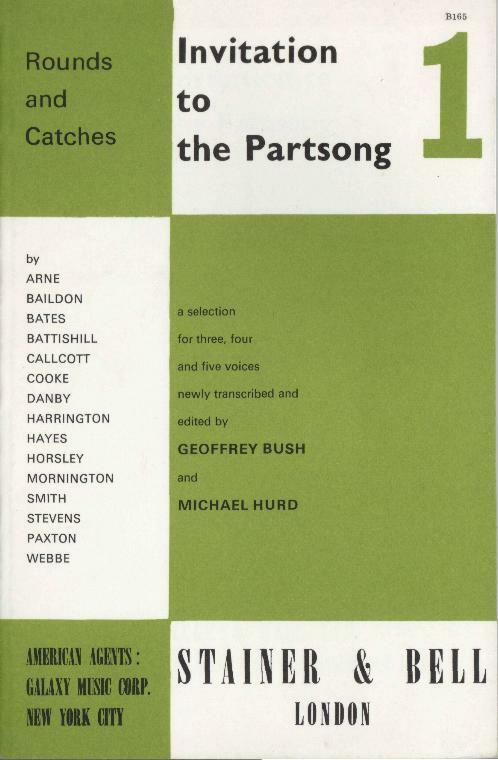 With the help of Boughton's autobiographical writings and letters from his friends and colleagues, including a hilarious series from George Bernard Shaw, he charts the career of the most significant and innovative British opera composer of his day. 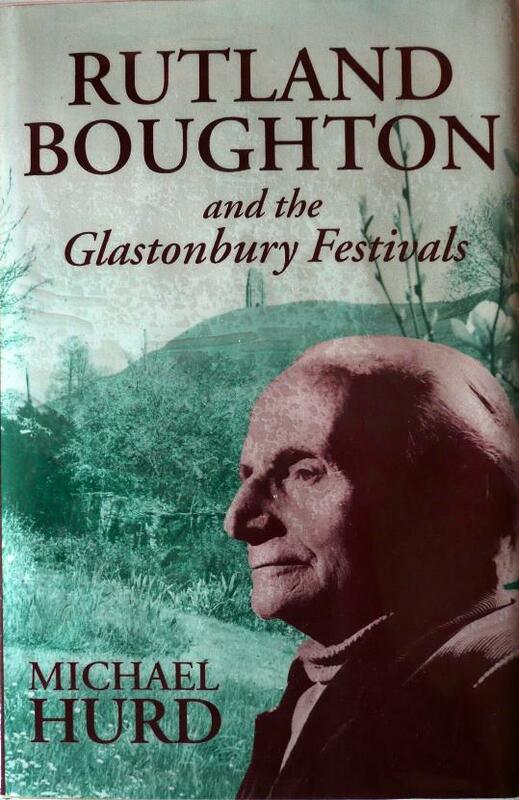 Catalogues of Boughton's compositions, together with complete cast lists of the Glastonbury Festivals, 62 music examples, and numerous photographs, complete this definitive account of an extraordinary man and his music. 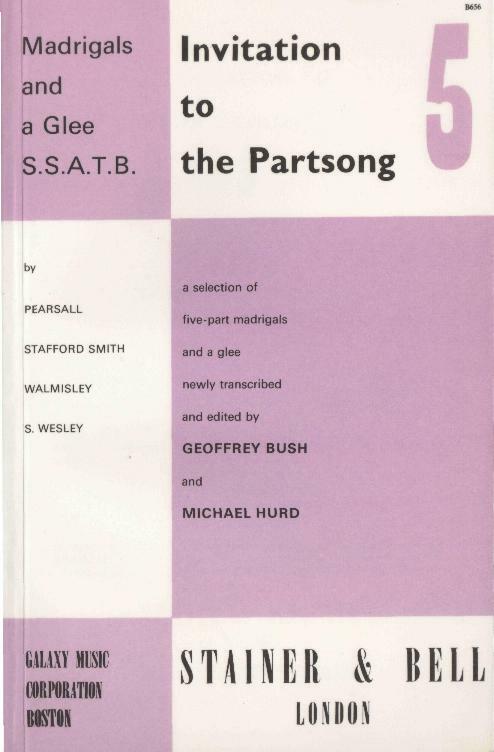 "Glees and Madrigals" in three and four parts. 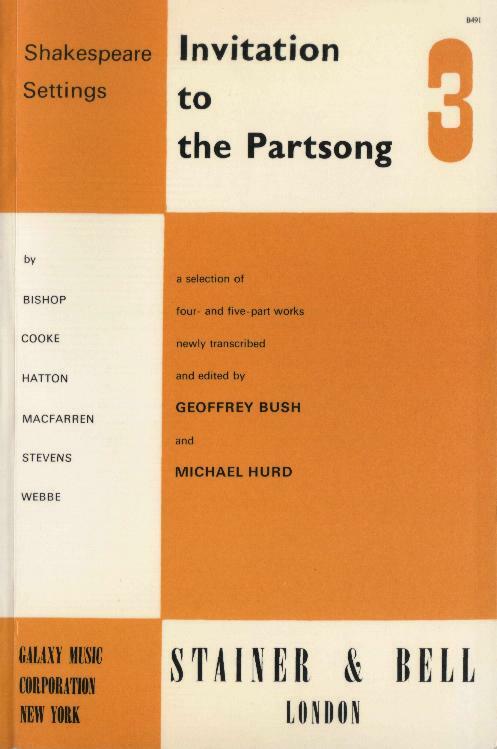 The letters that passed on an almost daily basis between the composers Howard Ferguson and Gerald Finzi provide not only a fascinating commentary on the British musical scene of the period 1926-1956, but also what amounts to a unique dual-biography of two remarkable though very different personalities. "Vigorous and humorous, these letters can be strongly recommended." "One of the delights is the peephole it gives onto the musical scene in (and out of) London during the period... Invaluable...will be read not only as a reference and source book, but also for its own intrinsic pleasure. 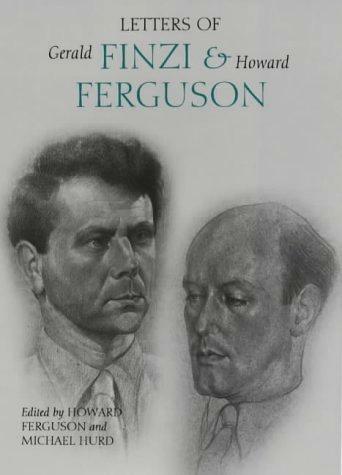 It gives far more insight into the personalities of its two protagonists than either Banfield's biography of Finzi or Ferguson's tight-lipped memoir." 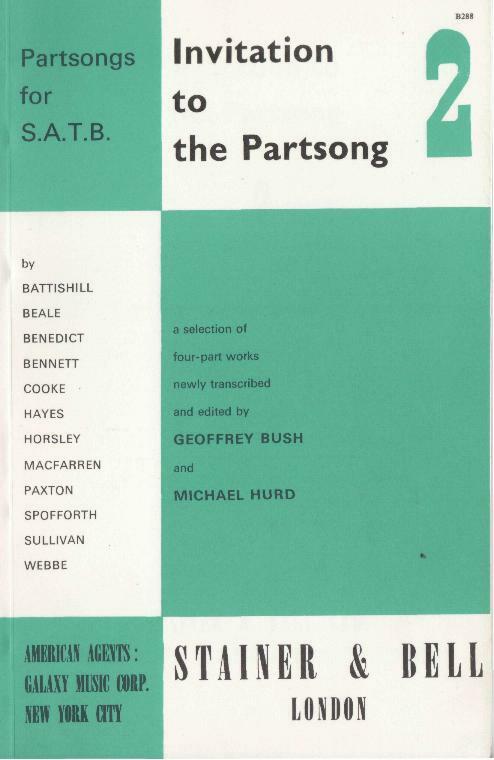 "Valuable collection... illuminates the character of two remarkable British composers. 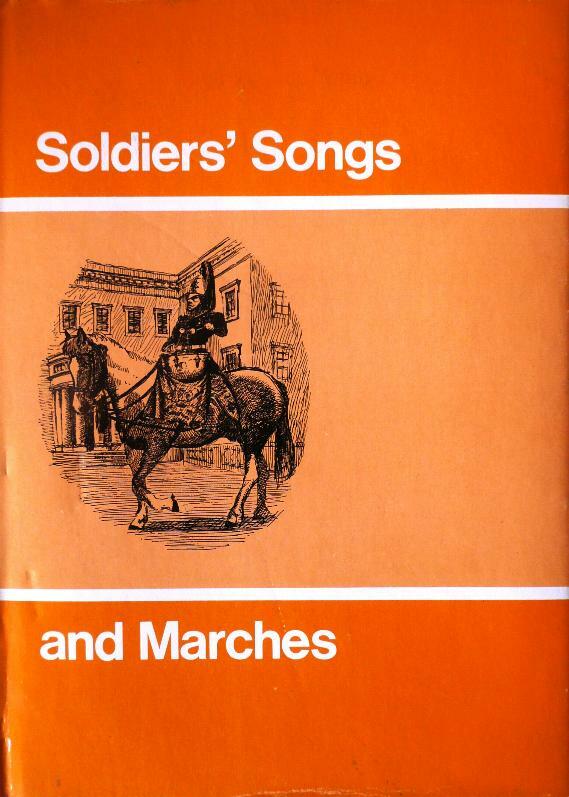 A fascinating aspect of this volume is the evidence it provides of the richness and variety of English musical life between the wars...challeng(ing) conventional assumptions concerning the supposed insularity of the British musical establishment during this period."